77lb carp and a catfish that bottomed out 230lb scales, oh and perch. First though I take you through my last session after perch. I know it’s a little early in the perch fishing calendar but I just wanted to find out if they were hungry. So a day session took place on one of the commercial fisheries. The bait was to be the trusted king prawn. The carp don’t seem to like these on this particular fishery so you are not hooking too many. 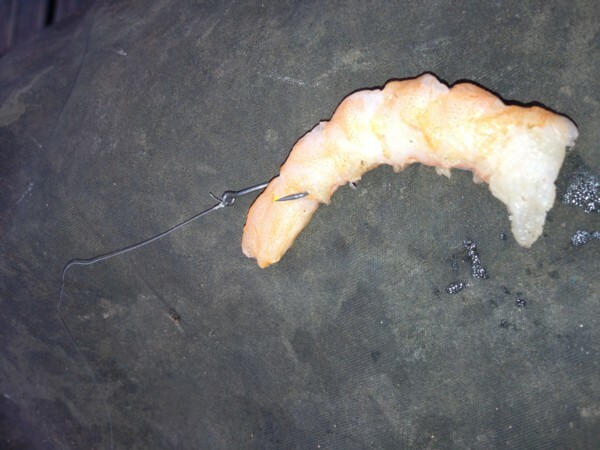 With the king prawns you need to attract smaller fish into the area and this is done by spraying maggots in via a catapult. Depending on the length of the session 8 hrs should see you use about 3 pints. Also used are small pieces of prawns normally I use the cheap smart price ones from ASDA. So the action soon started and I had 3 perch to 1lb 11oz in the first couple of hours then the sun came out and sport slowed. I still continued to feed though. 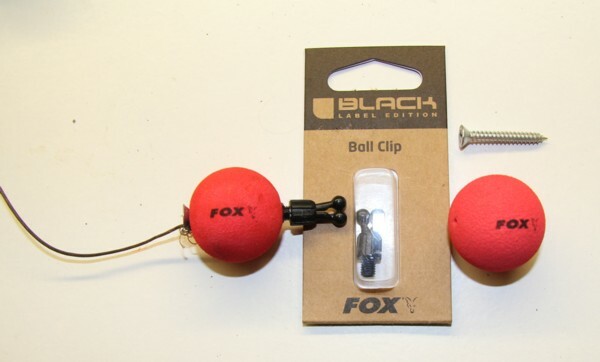 I had sorted out (made) some new bobbins last year which worked reasonably well however the bite alarms I use ATTX which use a roller system to indicate a take didn’t like them. These bobbins though proved to be very light in weight and perfect for the ultra sensitive takes from perch. However it wasn’t until they reached the highest part of the movement did they register a take and made the buzz go. So I had made some newer ones this year, with the largest pike buoyant foam red balls for aiding dead baits and the likes to float. To hold the clips in place I used a small screw that passed through the ball and fitted really well. The cloud started to come from the west together with the rain. 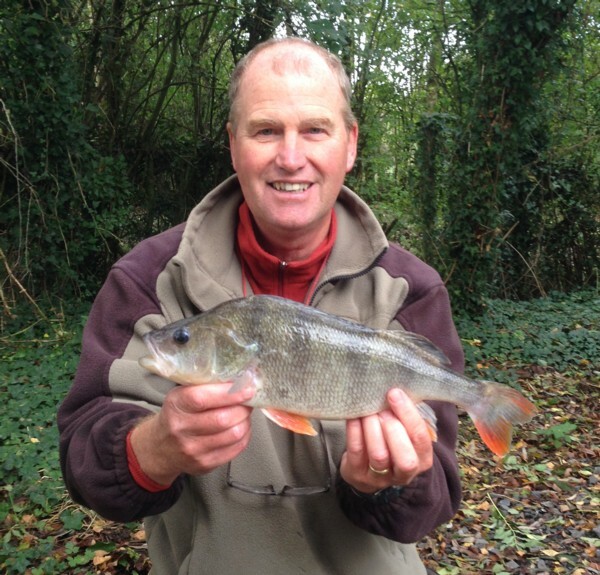 However with this came more perch, I caught another 4 more over 1lb and lost 4 more which was a surprise. However using barbless hooks might be the cause. So 7 perch and 4 more lost was a decent return. The perch were very thin though and they need a couple more months before they come into a good condition. So I was quite pleased. 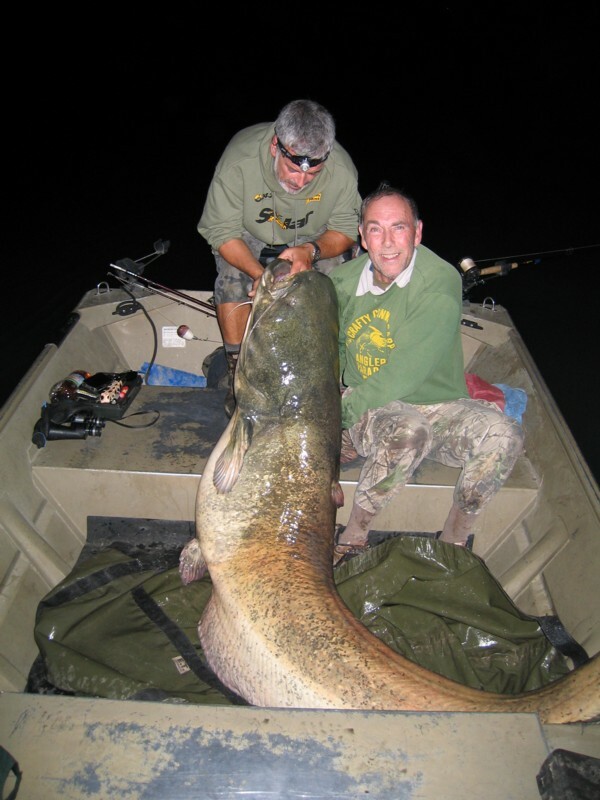 But not as pleased as a couple of anglers who fished the Ebro over the last 10 days. Alan and Mike go a couple of times each year usually in October and April. Well I had a call today to say that the going had been difficult for the first week. Plenty of floating weed made for some pretty unpleasant and frustrating fishing. However the last couple of days proved to be very different. 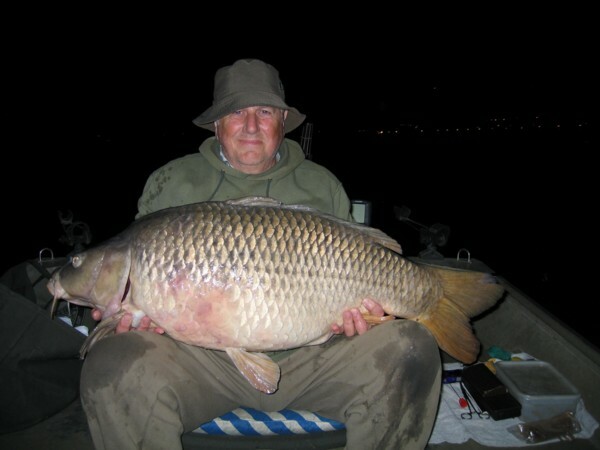 Alan was telling me he caught a fantastic common of 51lbs and another of 40lbs plus. Then he said that Mike had caught a whacker mirror of 77lbs and is an unofficial record for Spain, they don’t have official ones. What a a lovely carp. So that was some great fishing and Mike was on cloud nine. 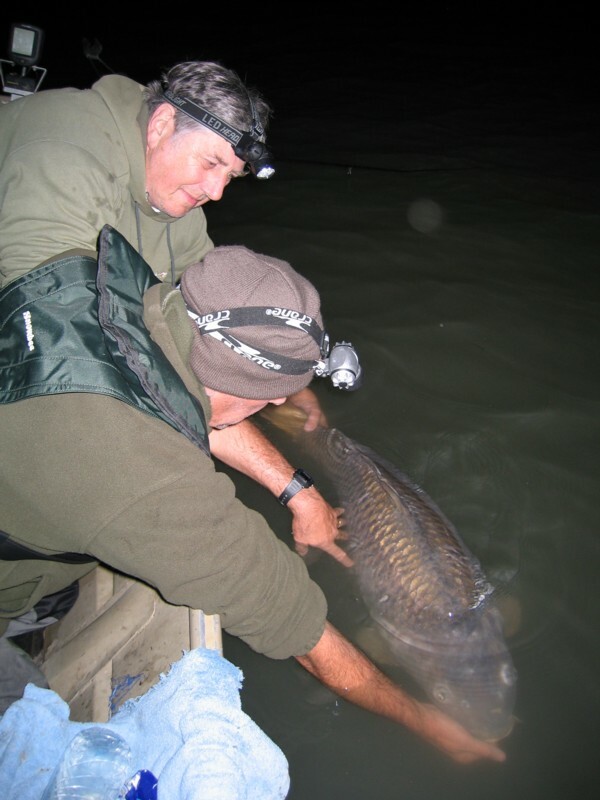 Then the following night hooked into a catfish that ended up being 8ft 6in long. They managed to get it into the boat. Their guide Gary said he thought it was the big one. It had come out about 1 month ago at 249lbs. So Alan and Gary lifted the fish up on the scales that went 230lbs and they bottomed out. Gary said he would find some larger scales to ensure the correct weight was found. However Mike didn’t want to keep the fish any longer and suggested they slip it back. So thats exactly what they did. 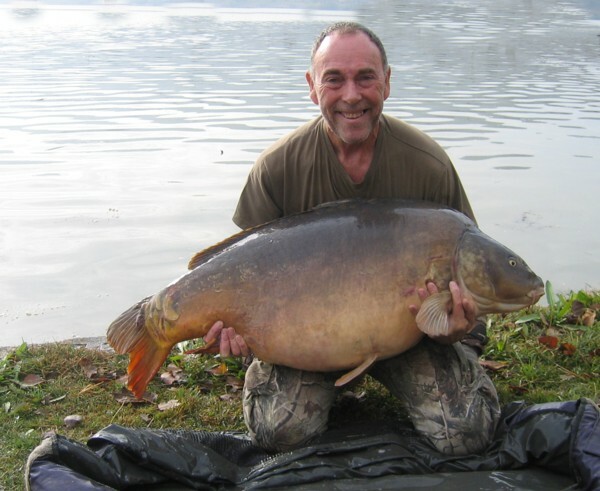 Sure enough later when they got back they compared some photo’s of the 249lber and it was the same fish. So Mike had caught potentially two records in two days. Thats some angling. Well done to him for slipping the catfish back. This entry was posted on Thursday, October 31st, 2013 at 7:42 pm	and is filed under Uncategorized. You can follow any responses to this entry through the RSS 2.0 feed. Both comments and pings are currently closed.